DOOM was released in 1993 and is considered a pioneer in 3D gaming. Previous games from id Software were 2D. While the original game might be playable in DosBox, There are more modern ports with greater stability and wide platform support. One of the ports, prboom, is available for Mageia6 (and MS-Windows and many other platforms). Based on the release of the original source code; it uses the SDl library. prboom is one of those rare Linux things that has been fixed enough that everything works. 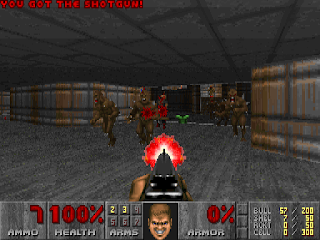 It offers a true-to-the-original gameplay rather than updating the game with modern features like ZDoom, EDGE, and Eternity Engine. 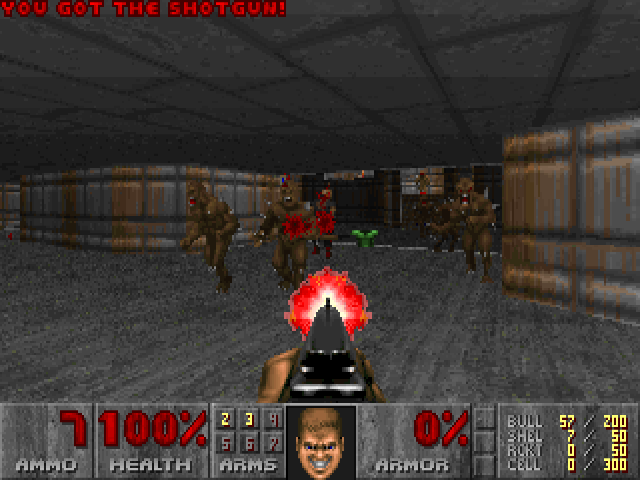 prboom emulates the games engines from the different versions of DOOM; it is also compatible with the demo version of DOOM. installs the game in /usr/games and run the first time with no arguments creates .prboom in your home directory, which is where you will place your *.wad files (referred to as IWADs. Yes, this was considered groundbreaking in 1993, but you can see who far 3D gaming has progressed in 24 years. The ArchLinux Wiki has excellent instructions on how to configure and launch prboom. Mageia does not provide a graphical frontend for launching Doom games. There is one available from enyo-doom, Doomseeker, Super Shotgun Launcher, qzdl, and DoomLauncher. Once running, initial configuration is not obvious at first. 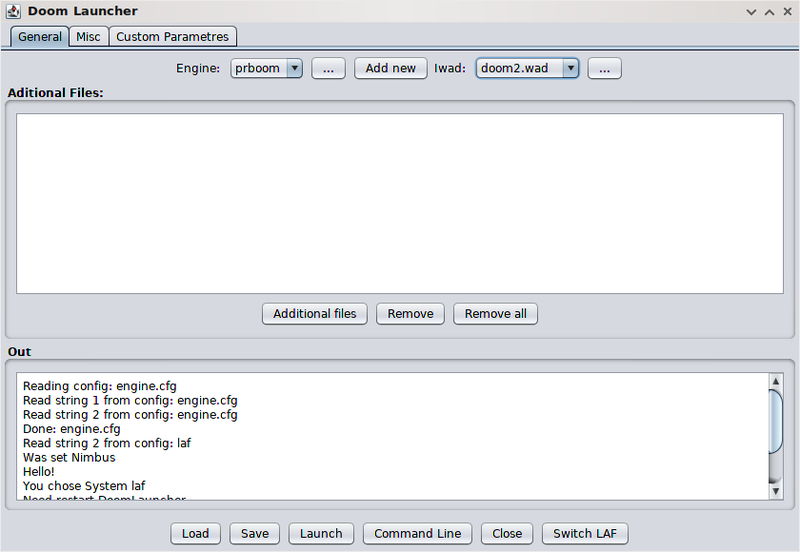 Begin by clicking on Engine: ... and select the path to prboom. You can install multiple different game engines if you desire. Next, click on Iwad: ... and select the path to your IWADs. Once you have selected your game engine and your IWAD, click on Launch to start the game. NOTE: The GUI does not do well upon your exit from the game. You need to close it and start it again. Otherwise, it appears to work well.